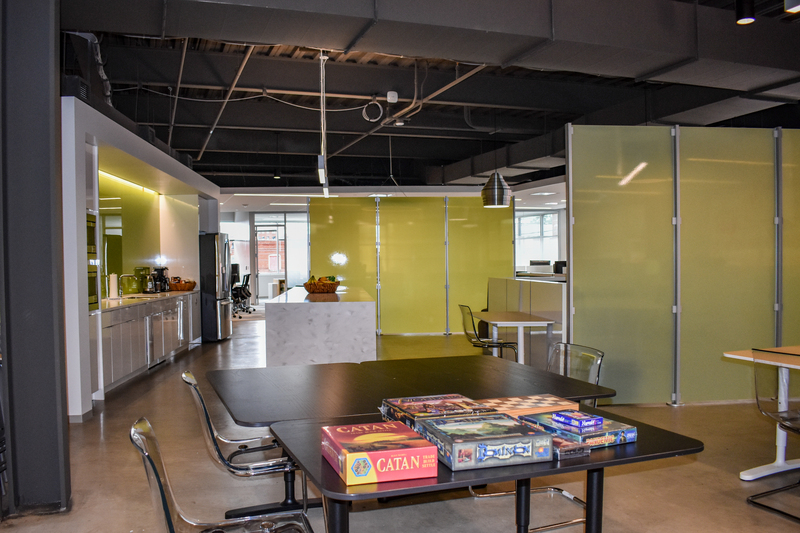 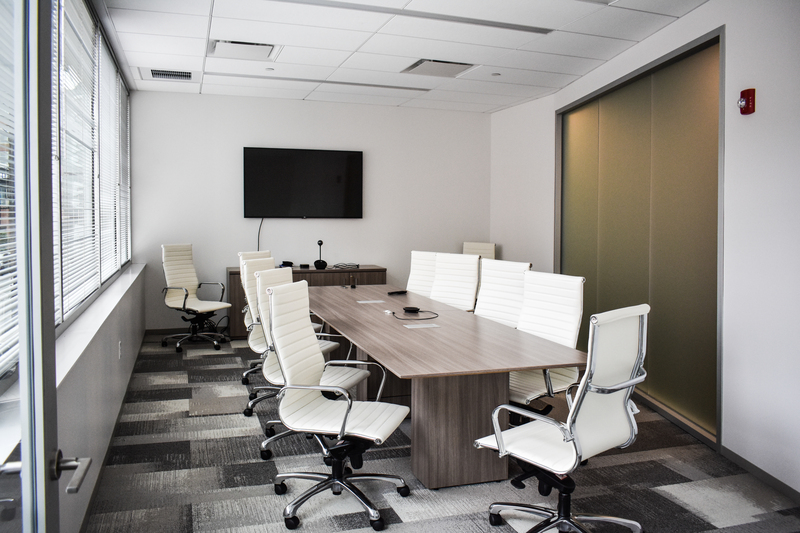 Landau Building Company completed a 5,540 SF interior fit-out of new offices for Petuum, a local start-up company specializing in machine learning programming and computing, in three months. 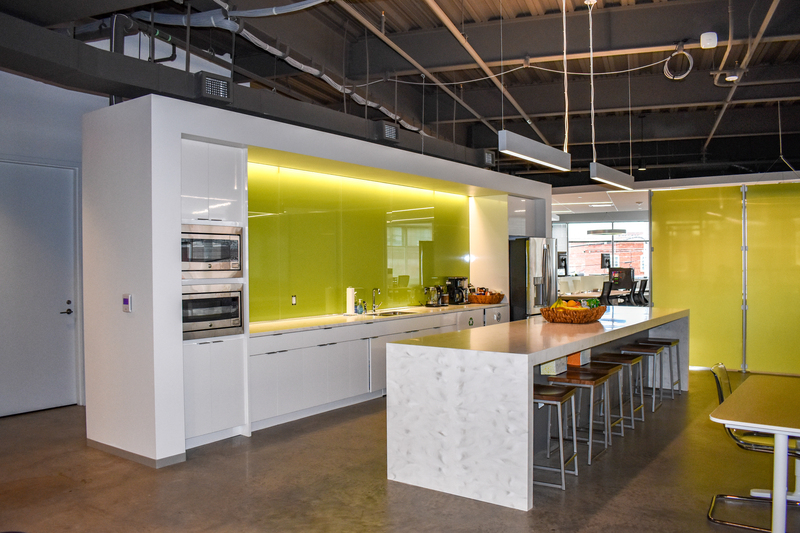 The project is located at 2555 Smallman Street, which is within 3 Crossings, a 20 acre mixed use development built in 2016 by Oxford Development in Pittsburgh's Strip District. 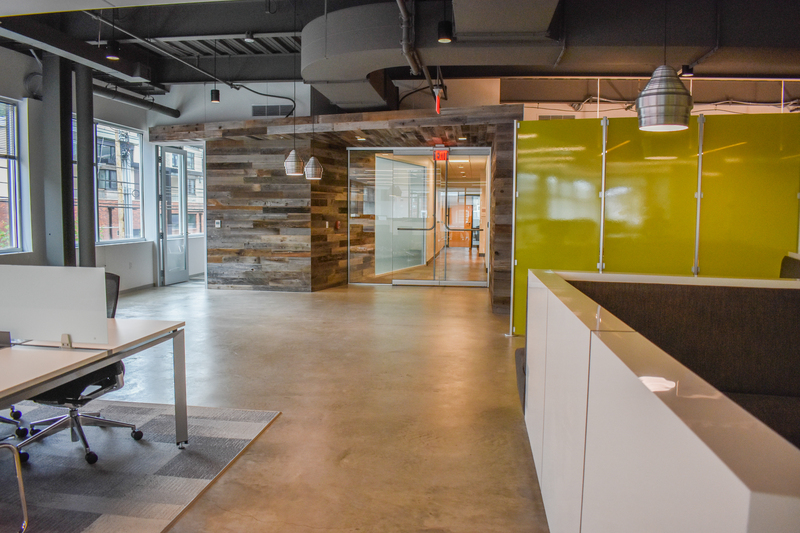 The project is on the second floor and includes new office cubicles, offices, kitchen area, conference areas, and collaborative space. 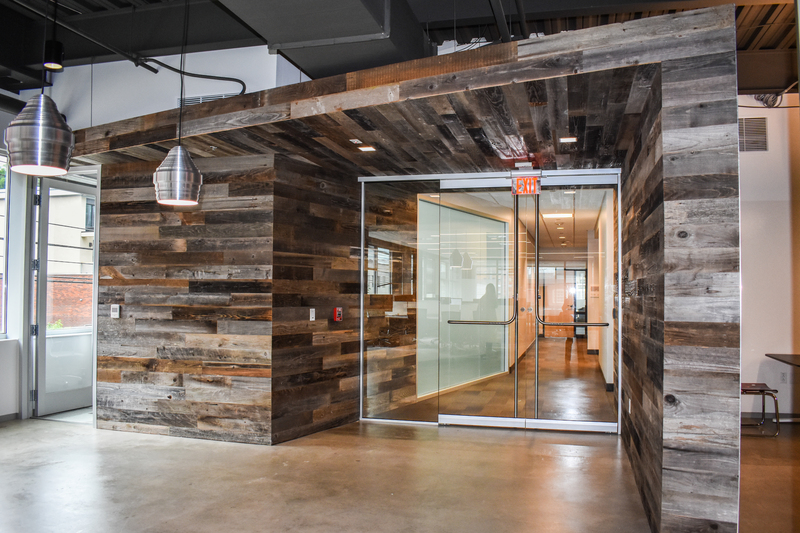 Horizontally hung reclaimed wood planks flank the all glass entry doors giving the space the modern industrial feel. 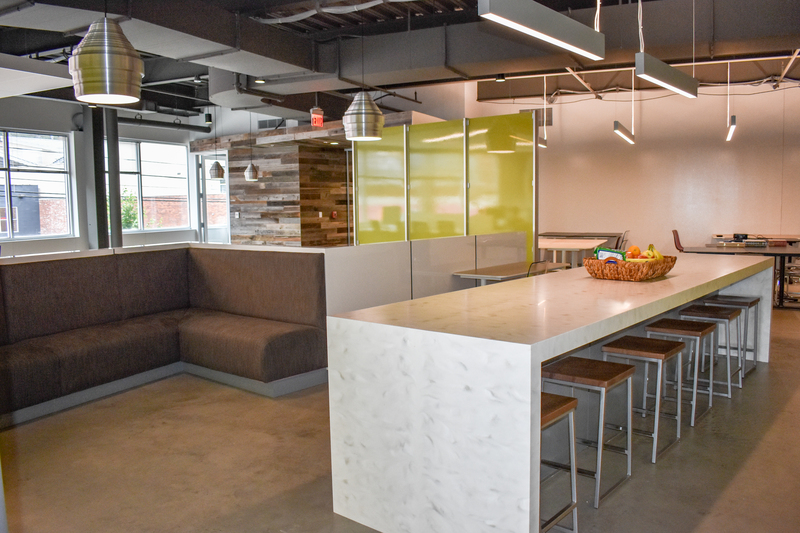 Clean sleek lines with neutral tones throughout the new space complete the look.